Thanks to entrepreneurial neat-freaks like Maria Kondo and Stasia Cymes, tidying up and clearing the clutter is all the rage right now. They promise that getting your household into shipshape will “eliminate the stress of mess” (Cymes) and bring you more joy (Kondo). Can the same ideas apply to your business? John Swanciger suggests so, but he’s not talking about throwing out unused desk accessories and decoratively disguising tangles of cables. Swanciger, who is CEO of the online business community Manta, says small business owners could benefit from taking an annual pause to declutter their technology and upgrade the tools they use in daily operations. 1. Update your computer programs. Is your iPhone telling you to install app upgrades? Is every computer in your organization running the latest versions of every program? Ignoring these housekeeping measures puts your business at risk of viruses, security breaches, and operational glitches. To be sure, annual updates are not nearly frequent enough, but if you’ve slacked off, now is the time for an emergency checkup. 2. Clean out your inbox. You really still need email correspondence from five years ago? Take the time to delete old and irrelevant emails and file the ones you want to save into an archive folder. If just the thought of this process is overwhelming, Swanciger suggests adopting an automation program that can take the hassle out of archiving your email in 2016. 3. Check your data backup system. When is the last time you archived your businesses data assets? Swanciger says it pays to review your last backup and add other important files that have been established since then. Check that you’ve got enough space in your backup system. If you’re close to maxing out, upgrade now. 4. Clear the paper clutter. “Take the plunge and go paperless,” Swanciger recommends. You won’t regret it. 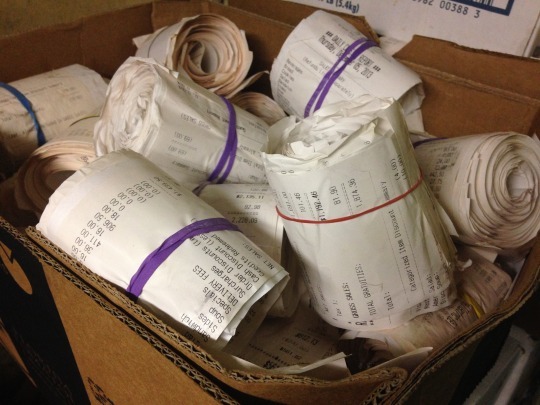 “We find that 30 percent of SMBs are still tracking their expenses with paper receipts. There are so many applications out there, like Expensify or Shoebox, that make it easy to take a photo of your receipts using the camera on your phone and get rid of the paper,” he says. Take it from the Manta CEO, this step can bring you not just joy but added income. “Before I switched to Expensify, I was the largest offender, with a George Costanza-sized mountain of receipts. I was always forgetting to take deductions. It adds up,” Swanciger says.